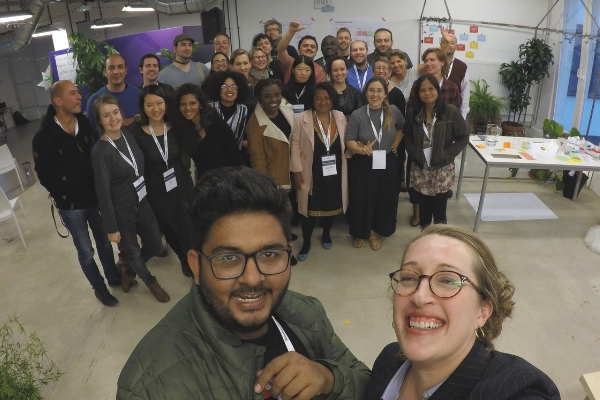 From 25-29 September 2018, thirty Hostwriter members from all continents traveled via planes, trains and automobiles – and trams, as well – to attend the first-ever Ambassador Summit in Warsaw, Poland. Some traveled up to 72 hours and navigated complex visa processes, while others hopped on a plane or train with no worries. 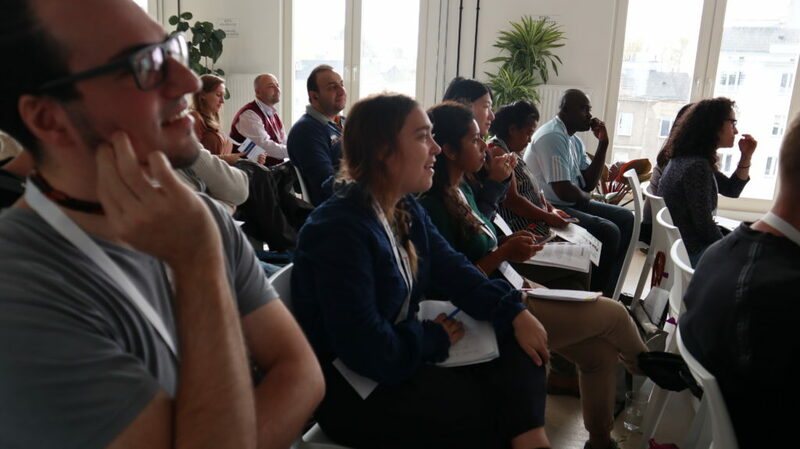 This was our first time assembling all these minds together to talk candidly about the challenges faced by journalists around the world and how Hostwriter as an organization can help. On Wednesday, we all attended the Outriders Summit, organized by past winners of the Hostwriter Pitch Prize. The summit featured presentations from journalists about a variety of topics including solutions journalism, the challenges of being a foreign reporter in Latin America and the “podcast revolution” in Slovakia (which was misheard by some as the “vodcast revolution,” since Polish vodka was on the minds of many). 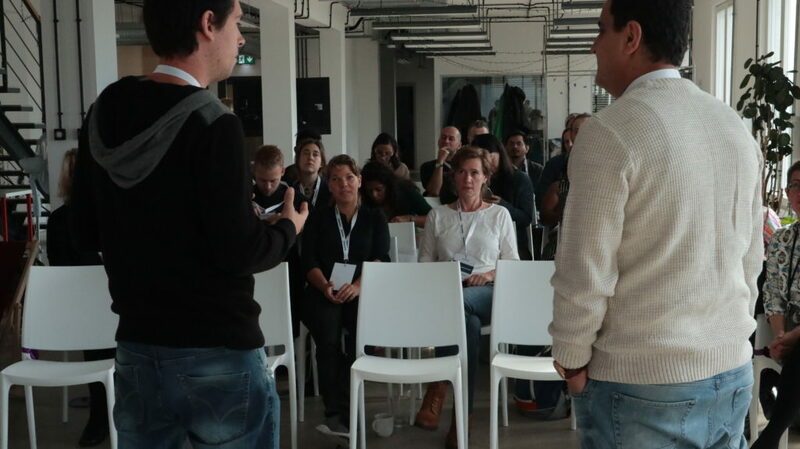 Hostwriter CEO and co-founder Tabea Grzeszyk hosted the panel, “DIVERSITY MATTERS! Five suggestions for Better Cross-Border Reporting,” featuring Hostwriter ambassadors Priyanka Borpujari and Qian Sun. 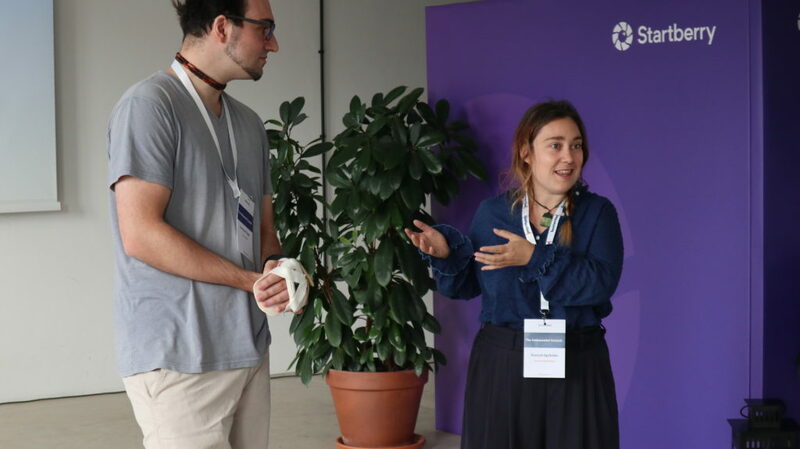 Following the panel discussion, Hostwriter Head of Community Engagement Olalla Tunas Martínez took the stage to announce the winners of this year’s Hostwriter Prizes. We even had a short video from the 1st Place Story Prize winners, Nathalie Bertrams and Ingrid Gercama, who were unable to attend the award ceremony. Olalla interviewed Irene Caselli, a journalist with one of the 2nd Place Story Prize-winning teams. Caselli spoke about her experience using Hostwriter to find a translator for their story, “A Woman’s Game: The first naturalized Dane female soccer player with Afghani roots.” You can read about all of the Hostwriter Prize winners in this blog post. 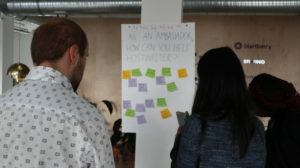 The Ambassador Summit officially began on Thursday, 27 September, at the Startberry coworking space. 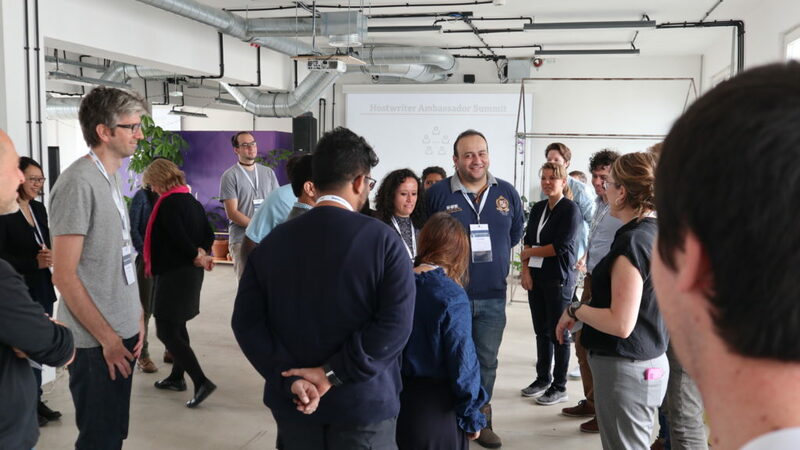 Participants got to know each other through a round of icebreakers before Tabea presented an overview of the Hostwriter organization and what we hoped to accomplish during the summit. 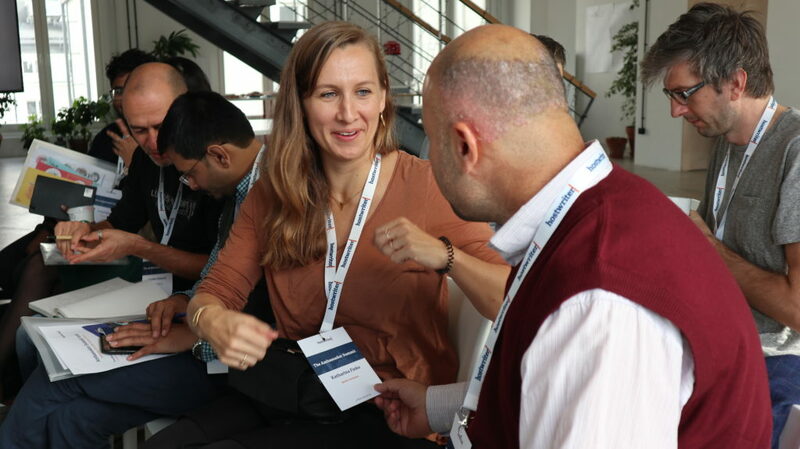 Following Tabea’s introduction, Hostwriter Head of Marketing and Outreach Bernadette Geyer gave an overview of Cross-Border Journalism as a Method, covering the steps of a cross-border collaboration as developed by journalist and author Brigitte Alfter. She stressed the importance of creating a research plan that includes things like a budget, a division of tasks, a schedule of deadlines and a backup plan. 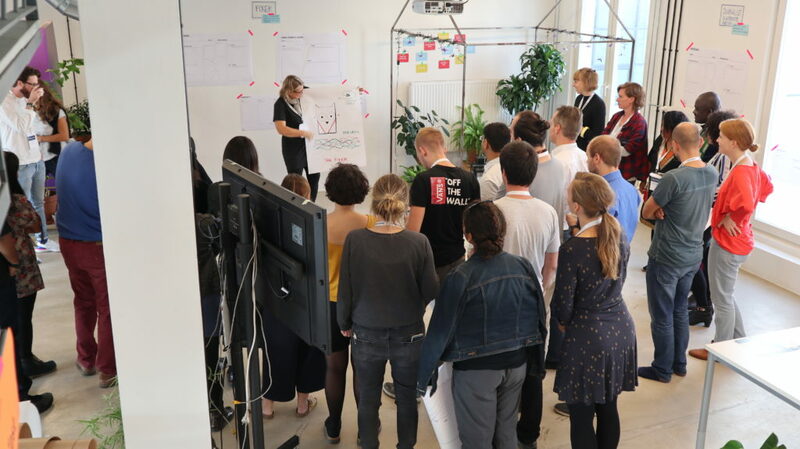 Tabea then spoke about Cross-Border Journalism as a Mindset and the importance of diversity in reporting – not just of the people who work together on projects, but of the topics and regions reported on in those projects. One of the questions Ambassadors responded to in the Gallery Walk. 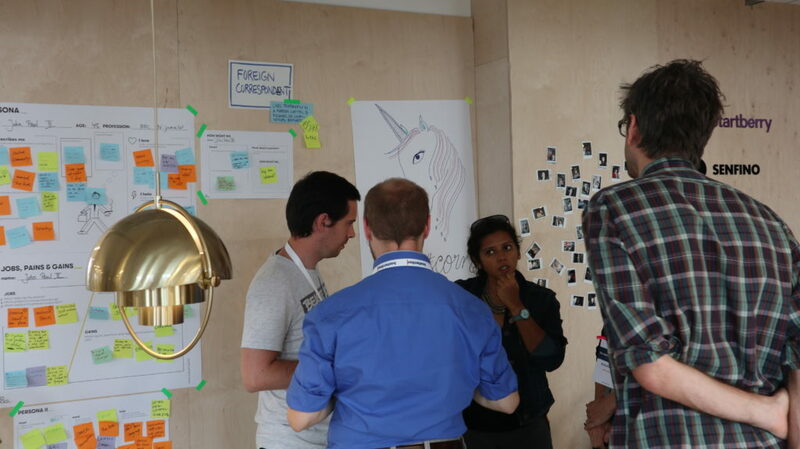 What currently stands in the way of cross-border collaboration? As an ambassador, how can Hostwriter help you? What can be achieved through Hostwriter that would not otherwise be possible? As an ambassador, how can you help Hostwriter? Participants broke into groups and took turns moving from poster to poster to brainstorm ideas in response to each question. At the end of the Gallery Walk exercise, one “host” for each poster provided a summary of the ideas offered for that question. 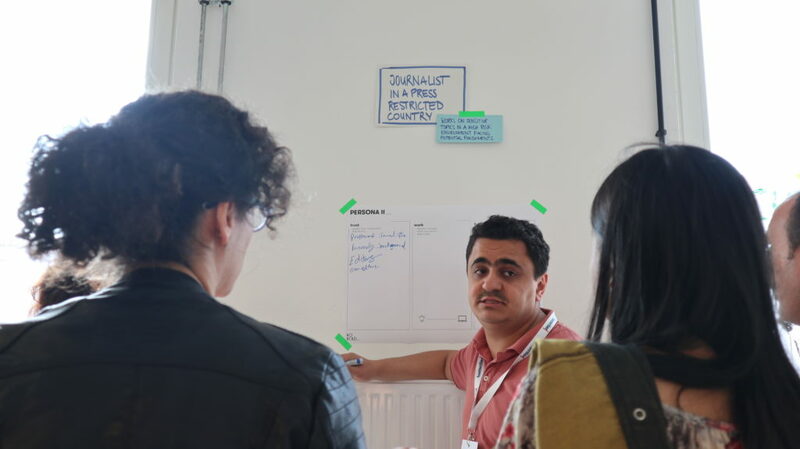 Some of the ideas proposed were skills trainings, resources in multiple languages, security protocols and other such resources for journalists. 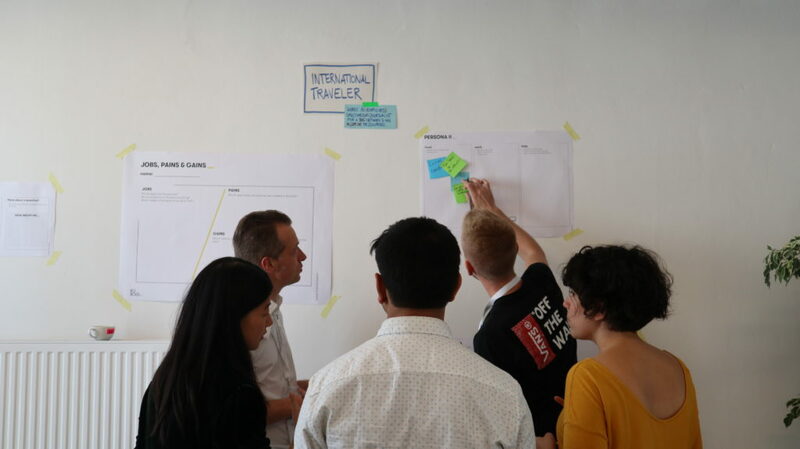 For the second day of the Ambassador Summit, the Berlin-based consultancy Kobold – Purpose Design & Innovation led participants through a Design Thinking Workshop to inspire new ways of problem-solving in organizations. 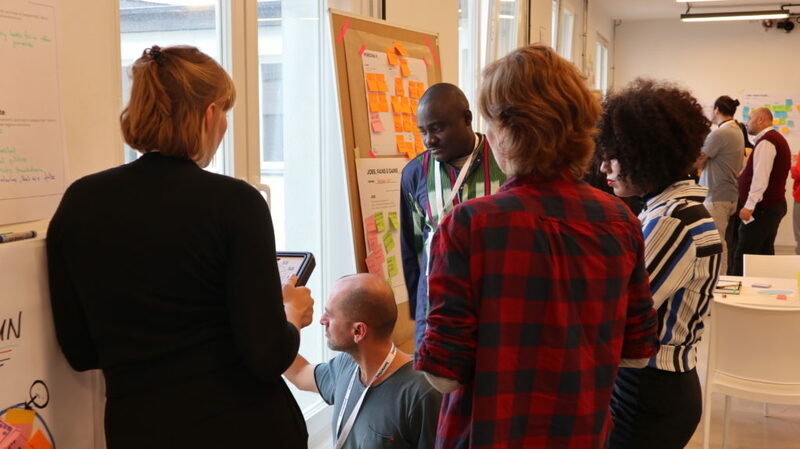 Participants were broken out into five groups, which were each given a “persona” that they would develop as a model of a type of Hostwriter member – Fixer, Journalist in a Remote Region, (Young) Urban Journalist, International Traveler and Foreign Correspondent. 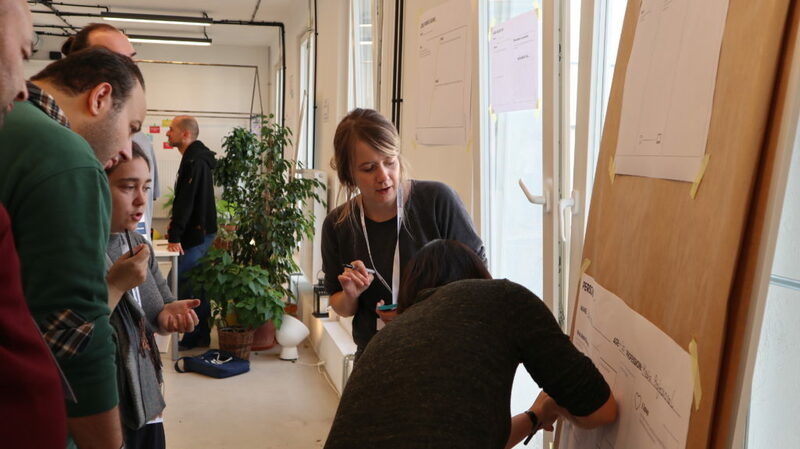 Participants developed the personas, thought about the challenges that faced that particular persona, and then brainstormed potential new features Hostwriter could offer to help these types of members. Some of the common challenges the personas faced were visa issues and language barriers. 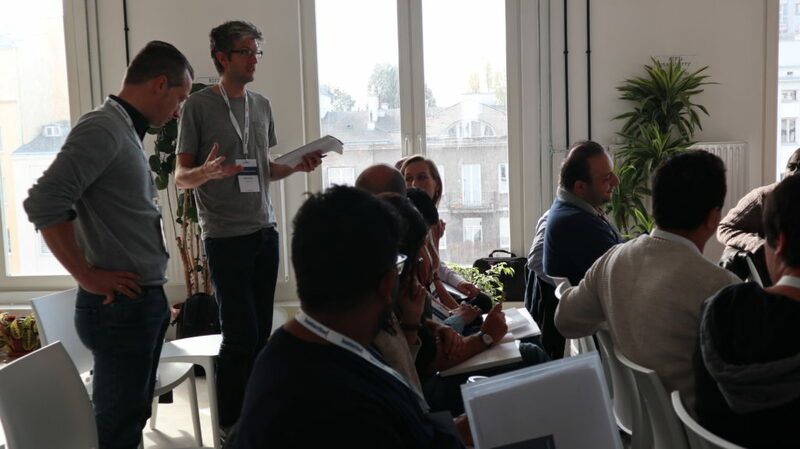 Solutions included security trainings, case studies, regional meetups and improvements for the Hostwriter platform. 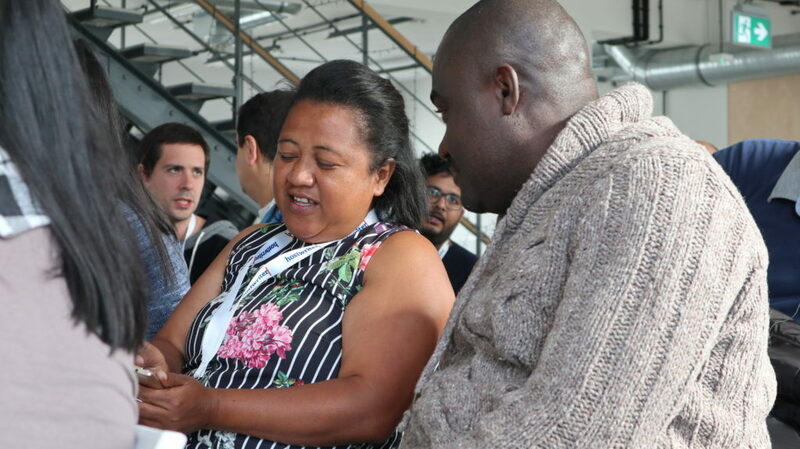 Most participants headed back to their homelands on Saturday, while others went on to their next destinations and still others stayed for a little extra sight-seeing and networking. We returned back to the Hostwriter office with great new connections to colleagues and a wealth of ideas for how to make Hostwriter even better for our members. 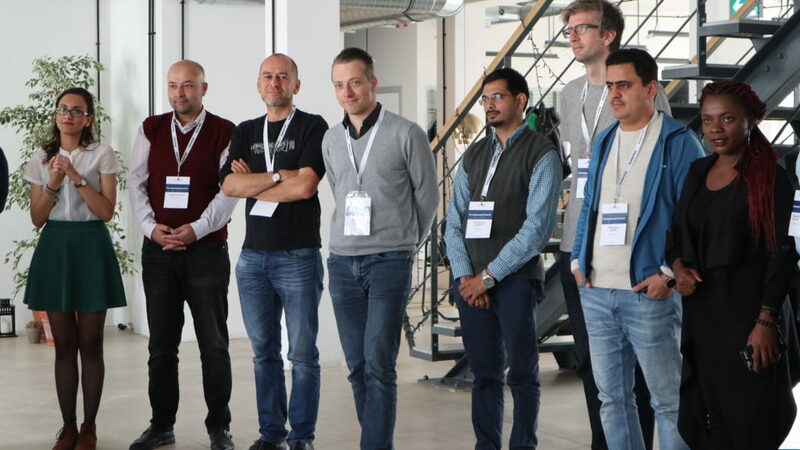 We learned a lot from our participants and from the process and look forward to the next summit!